How do you perceive aging today? Is it the thriving lifestyle of seniors taking on new careers, volunteering or being physically active? Or is it the traditional notion of the harsher realities of aging? The Council on Aging-Southern California invites all amateur and professional photographers, 18 years of age or older residing in Southern California, to use their imagination and share their vision and unique interpretation of the aging experience. COASC’s Aging as Art Photography Show will be juried by a panel of distinguished judges. The selected entries will be displayed for an extended engagement August 2018 at one of California’s finest museums, the Bowers Museum in Santa Ana. Selected photographs will also be displayed at the Newport Beach Central Library Spring 2019. The Aging as Art Photography Show will depict the diversity, dignity, and challenges of what living a long life means today. The Council on Aging-Southern California Aging as Art Juried Photography Show is grateful to our partners and sponsors who have contributed to an impressive prize list with a total value of over $1,875.00 Entrants have the opportunity to win one Grand Prize, one Second Prize, one Third Prize, or one of two Honorable Mentions. This year the contest will feature a professional and an amateur category. Amateur Photographer Definition: An “amateur” photographer is someone that takes photos for fun and passion. A selected group of submissions will also be included in the Aging as Art show at the Bowers Museum and Newport Beach Central Library. This group will not be eligible for a cash prize. Photos must be submitted using Smarter Entry beginning on July 28, 2017. Submission deadline is July 2, 2018. $30 for up to 3 images (additional images are $10 each, Maximum of 6 images total) submitted by July 2, 2018. 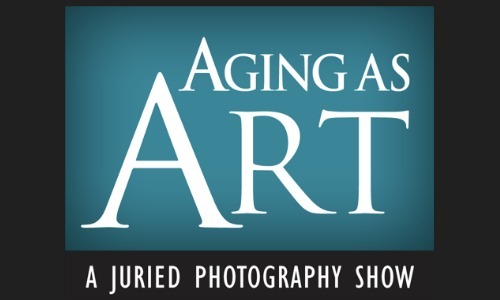 COASC invites anyone residing in Southern California who is passionate about photography to enter the Aging as Art Juried Photography Show. You must read the following rules, terms, and conditions before submitting any photos! All amateur or professional photographers residing in Southern California Zip Codes 90000-93599 who are at least 18 years of age as of the date of image submission are eligible. PARTICIPATION IN THIS CONTEST IS NOT AVAILABLE TO PHOTOGRAPHERS RESIDING OUTSIDE OF THE SOUTHERN CALIFORNIA ZIP CODES STATED ABOVE OR WHERE REGISTRATION OR BONDING ARE REQUIRED, THIS CONTEST IS VOID WHERE PROHIBITED. Open to all photographic imagery that can be defined as “How do you perceive aging today?” as interpreted by the entrant. One subject in the composition must be a senior which is broadly defined as an individual 65 and over. Entries may originate in any format including, but not limited to digital files, digital prints, color transparencies, color prints, or black and white prints — so long as they are submitted electronically. Previously published material for which non-exclusive rights were granted may be entered as long as you still maintain the right to grant Council on Aging-Southern California a license (see Your Rights). Each submitted photograph, in its entirety, must be a single work of original material taken by the Contest entrant. By entering the Contest, entrant warrants that the submitted photograph(s) is an original work created solely by the entrant, that the photograph does not infringe on the copyrights, trademarks, moral rights, rights of privacy/publicity or intellectual property rights of any person or entity, and that no other party has any right, title, claim or interest in the photograph. Photos that violate or infringe upon another person’s copyright are not eligible. All photographs should accurately reflect the subject matter and the scene as it appeared. Photos that have been digitally altered beyond standard optimization (removal of dust, cropping, reasonable adjustments to exposure, color and contrast, etc.) will be disqualified. Multiple exposures that have been combined to produce a single “High Dynamic Range” image are acceptable. Images that do not meet these requirements may or may not be judged at the sole discretion of the Panel of Jurors. There are no restrictions on eligibility regarding the date or the location the photograph was taken. The photographs entered must not, in the sole discretion of the Council on Aging-Southern California, contain obscene, defamatory, or otherwise objectionable content. Entries deemed inappropriate will be ineligible. Each photo must be submitted electronically. No mail-in entries will be accepted. Each entry consists of an entry form, an entry fee, and up to three images. Additional images may be submitted for $10 per image, maximum 6 images per entrant. Please CAREFULLY read the WHAT TO ENTER section of this document prior to submitting your photograph(s) for this show. No refunds will be given! Questions and inquiries about entering can be emailed to rhussin@coasc.org. Each entrant must set up an account on the contest registration site and registers for the show “Council on Aging-Southern California Contest: Aging as Art.” An email confirmation will be sent to the email address affiliated with the entrant’s account. If your image is selected for display at the Aging as Art show, you will be required to submit a photographic print and signed model release. Winning entrants will be sent instructions for the submission of the final print after the juried submissions are selected. To avoid image upload errors, you can ONLY use alphanumeric characters with a period preceding the file name. Please INCLUDE YOUR NAME in the file name. Example: Jake Snider My Parents.jpg. Entries are accepted beginning July 28, 2017 at 8:00 am Pacific Standard Time (PST) and ends on July 2, 2018 at 5:00 pm (PST). All entries must be received by 5:00 pm PST on July 2, 2018, to be eligible. A standard fee of $30 applies to entries of up to three photos beginning 8:00 am PST on July 28, 2017, through 5:00 pm PST on July 2, 2018. Images will be judged online based on originality, technical excellence, composition, overall impact, and artistic merit. All decisions made by the Panel of Jurors are final. The Council on Aging-Southern California shall determine winner eligibility in its sole and absolute discretion. Winners will be selected on or about July 6, 2018, and notified by email on or about July 10, 2018. Subject to the rights of the photographer, keep the files provided, and to archive the images in electronic forms, so that your photos can be used by COASC as stated in I and II above. For any photograph used under the terms of this agreement, Council on Aging-Southern California shall give credit to the photographer as feasible. We respect your privacy. Council on Aging-Southern California will not sell, rent or exchange your e-mail address. This Contest is subject to federal, state, and local laws and regulations. Certain restrictions may apply. Entries void if Council on Aging-Southern California determines the entry to not be an original, or if the entries are illegible, incomplete, damaged, irregular, altered, counterfeit, produced in error or obtained through fraud or theft. (c) if he/she is selected for display in the Aging As Art show, the Council on Aging-Southern California may use each winner’s name, city, state, and photograph in any publicity or advertising relating to current or future Contests. All federal, state and local taxes on prizes are the sole responsibility of the prize winners. Council on Aging-Southern California, in its sole discretion, reserves the right not to award all prizes in the event that the number of submissions does not meet the minimum judging criteria. In the event that the selected winner(s) of any prize are/is ineligible or refuses the prize, the prize will be forfeited and Council on Aging-Southern California, in its sole discretion, may choose whether to award the prize to another entrant. Council on Aging-Southern California reserves the right to adjust any deadline(s) as the result of causes beyond its immediate control. Upon Council on Aging-Southern California’s request, each entrant must be prepared to provide a signed written model release from all persons who appear in the photograph submitted, authorizing us to reproduce, distribute, display and create derivative works of the photograph entry in connection with and promotion of Aging as Art, in any media now or hereafter. In addition, upon Council on Aging-Southern California’s request, each entrant must be prepared to provide a signed written release from the copyright owner of any sculpture, artwork or other copyrighted material that appears in the photograph entry, authorizing us to reproduce, distribute, display and create derivative works of the photograph in connection with and promotions of Aging as Art. Failure to provide such releases upon request may result in disqualification and selection of an alternate winner. By participating, entrants agree to release, discharge and hold harmless Council on Aging-Southern California and each of its partners, affiliates, agents and its employees, directors, and representatives, including volunteers, from any claims, losses, damages, or other liabilities arising out of their participation in Aging as Art or any Contest-related activities and the acceptance and use, misuse, or possession of any prize awarded hereunder. Council on Aging-Southern California assumes no responsibility for any error, omission, interruption, deletion, defect, or delay in operation or transmission; communications line failure; theft or destruction of or unauthorized access to Contest entries or entry forms; or alteration of entries or entry forms. Council on Aging-Southern California is not responsible for any problems with or technical malfunction of any telephone network or lines, computer online systems, servers or providers, computer equipment, software, failure of any electronic submission to be received on account of technical problems or traffic congestion on the Internet or at any website, human errors of any kind, or any combination thereof, including any injury or damage to entrants’ or any other persons’ computers related to or resulting from participation, uploading or downloading of any materials related to this Contest. If for any reason Aging as Art is not capable of running as planned, due to infection by computer virus, bugs, worms, trojan horses, denial of service attacks, tampering, unauthorized intervention, fraud, technical failures, or any other causes beyond the control of the Council on Aging-Southern California that corrupt or affect the administration, security, fairness, integrity, or proper conduct of this contest, the Council on Aging-Southern California reserves the right, at its sole discretion, to disqualify any individual(s) who tamper with the entry process, and/or to cancel, terminate, modify, or suspend the contest. If Council on Aging-Southern California elects to cancel or terminate Aging as Art, Council on Aging-Southern California will not retain any rights in the submitted photographs and will return the entry fees. Any individual may elect to unsubscribe from email lists. To elect to have an individual’s name excluded from such communications, select “unsubscribe” from the link in the Council on Aging-Southern California email. You may also contact (714) 479-0107 to request removal. Questions and inquiries about Contest can be emailed to rhussin@coasc.org.